Speaking of air-cooled VWs, do I wish I could go to this show. It’s in England (so I don’t see it happening) but at least I can enjoy these great pics of some really cool old air-cooled VWs! It all started back in 2005 after driving back to the UK from the vintage VW show in Hessisch Oldendorf, Germany. 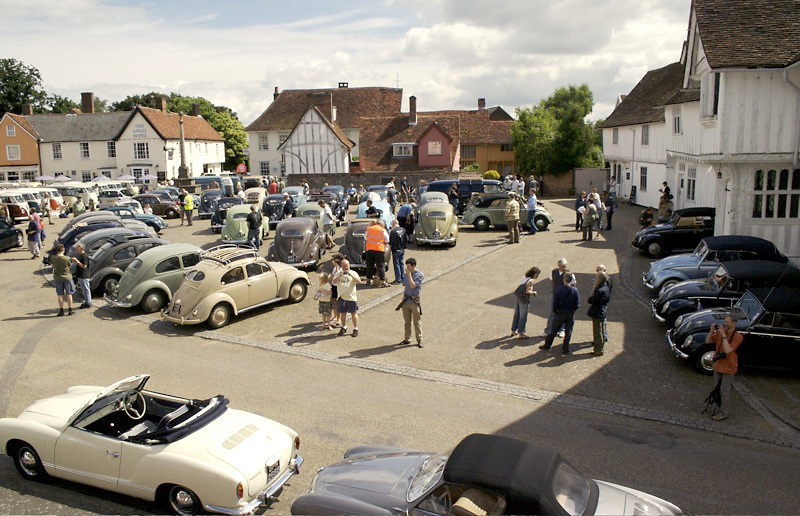 “Why don’t we have a Vintage Volkswagen show like that in England?” Well, now we do! Lavenham is regarded as being the finest surviving example in England of a mediaeval town, with superb ancient buildings – over 300 of them listed as being of architectural and historical interest.